A reporter recently asked me about the claim that the number of computer job advertisements posted online greatly exceeds the number of available computer workers (ergo, we need more foreign workers). I explained to him that the job advertisements do not correspond with the actual number of computer jobs. If I go to Dice.com (which claims to be the largest engineering job board) and search for Java programming jobs within five miles of my house, I get 21 job advertisements as I write this. If you do the same search on a different day, your results will likely be different from mine, but they will certainly show the great frustration of computer job seekers: There are few real jobs. In my search results, there may be 21 advertisements, but there is only one real job from a real company: an "IT Application Development Operations Engineer" job at CVS Health. The rest of the advertisements are from brokers. 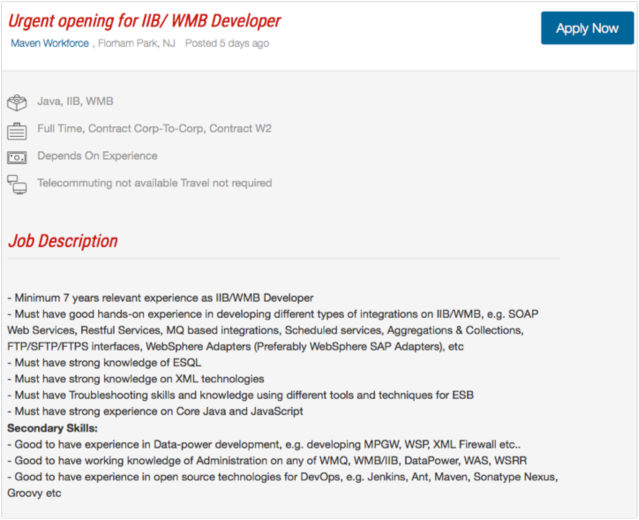 There is no way to tell if such an advertisement reflects a job that currently exists or whether it is a job that might exist or existed in the past that the broker is using to troll for resumes. 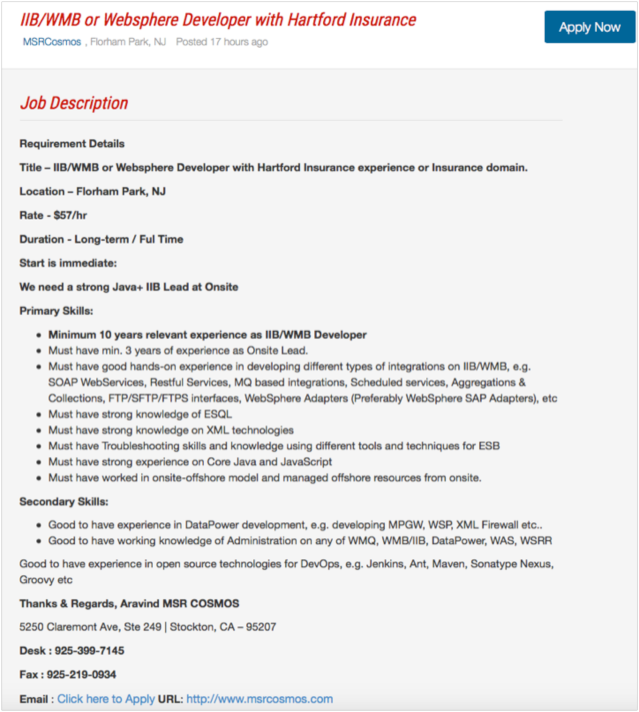 The last two advertisements give away that the real job (if it actually exists) is at Hartford Insurance. If I apply to the first advertisement, how do I know my application will end up at Hartford? If I apply to all three advertisements, what is the likelihood that Hartford's HR department will just toss the applications to avoid conflict among brokers? 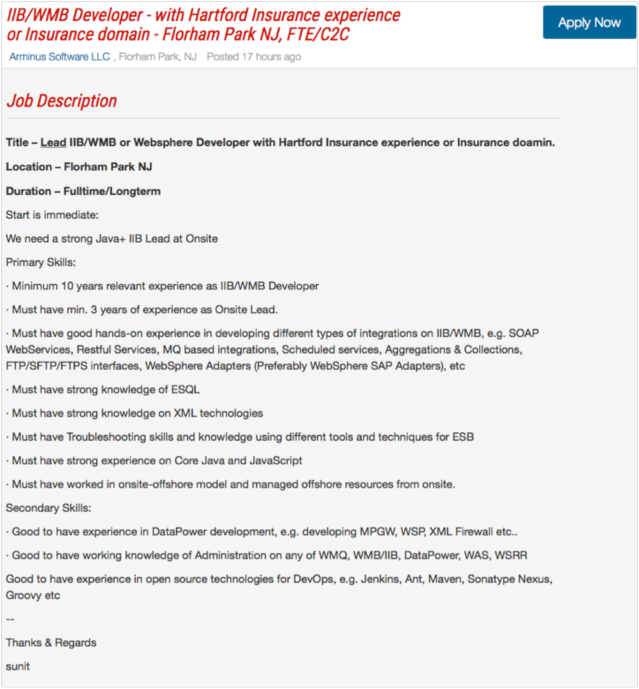 Does this job in at Hartford Insurance in Florham Park really exist? If it does, Hartford is not making any effort to fill it if they cannot even post to their own web site. 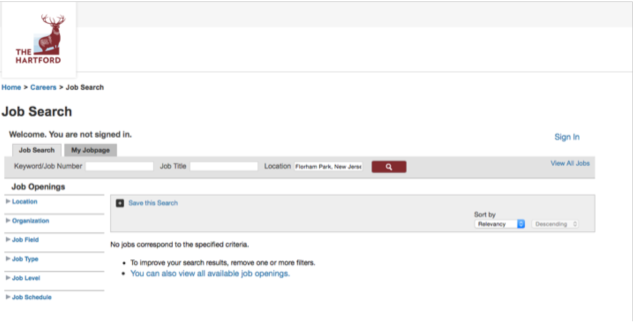 In any event, search results on job boards illustrate that the number of online job advertisements has no relationship to the number of actual jobs.